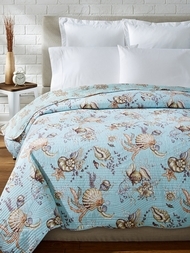 Surround yourself with soothing, sealife themed quilted bedding with the Under The Sea collection. 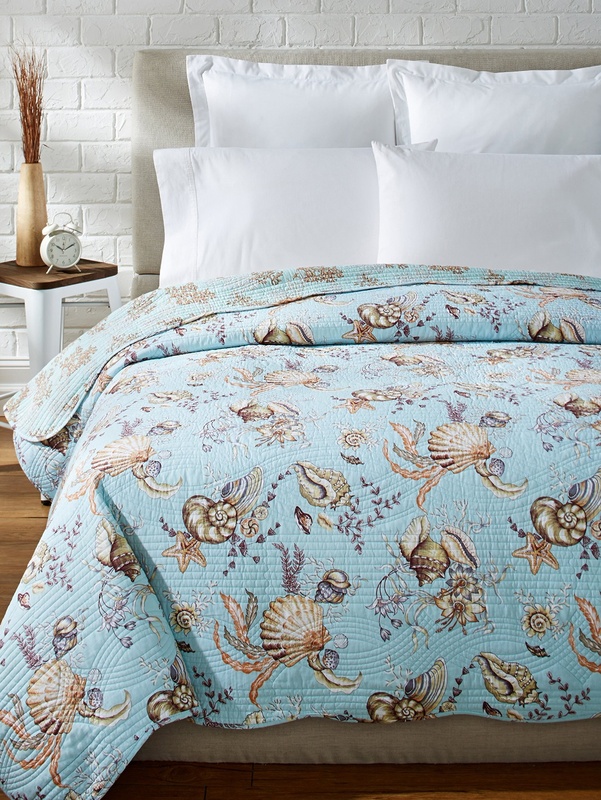 This pattern brings the beauty of the ocean to your bedroom or beach house, featuring sand-colored seashells & ocean flora prints on a light blue quilted matelasse background, and accented with a scalloped border. Reverses to the same coral prints on a sea green background. Shams are the same pattern as the quilt. 100% cotton throughout, this finely stitched quilt will be the perfect choice all year 'round. Full/Queen Quilt 90 x 92 in. King Quilt 108 x 92 in.